I’ve never been a huge bacon fan. He would so not tolerate my non-bacon ways. 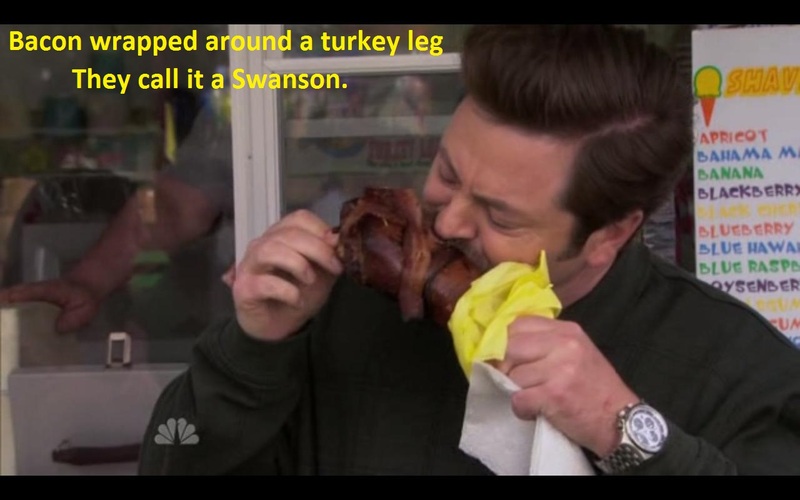 And yet, I think he was on to something – bacon wrapped around meat. Now, that’s an idea I can get around! 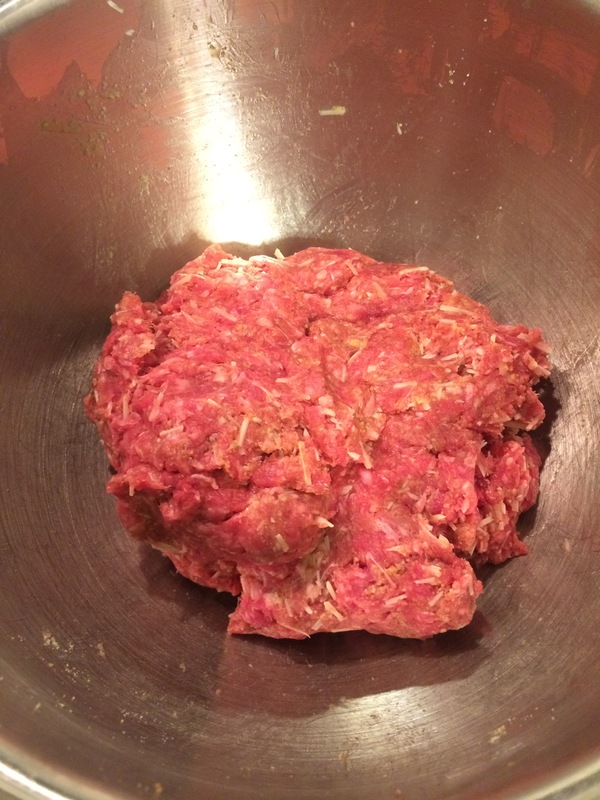 In a medium bowl, mix together the beef, egg, bread crumbs, cheese, and salt. 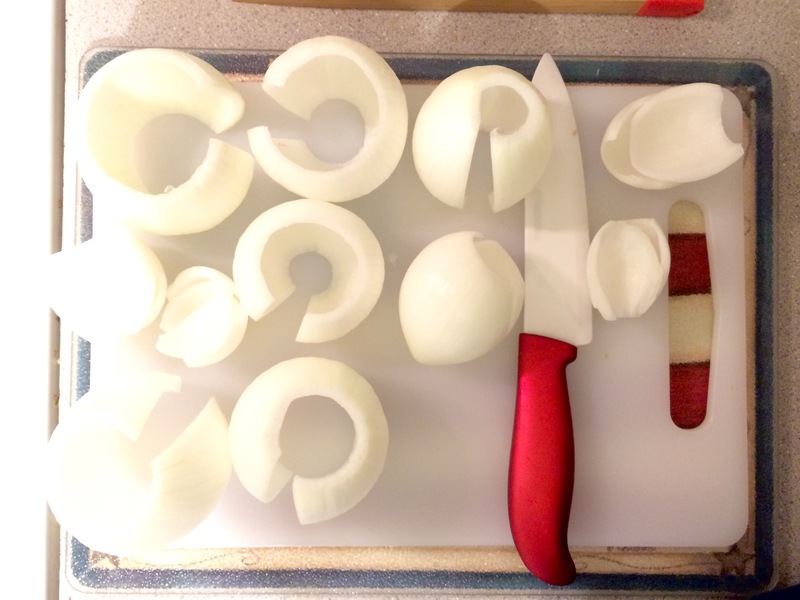 Cut the tops and bottoms off the onion and peel away the skin. 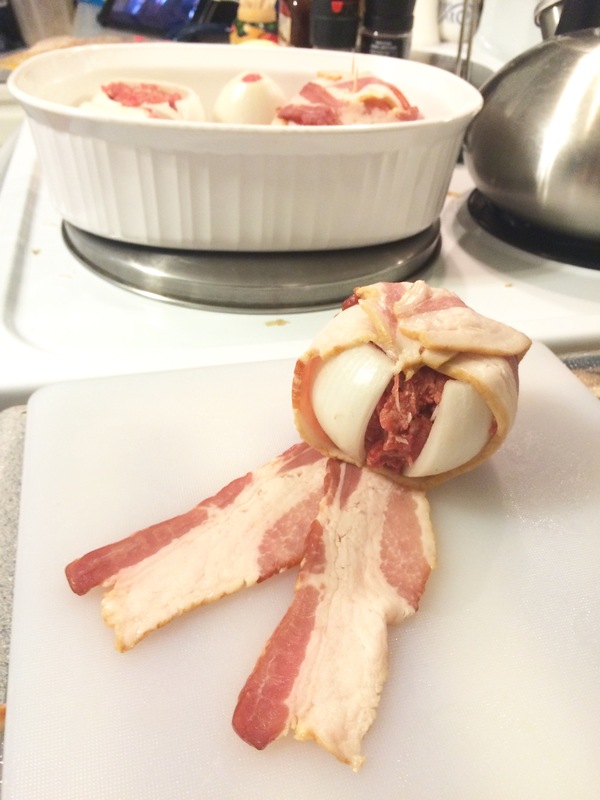 Carefully separate the onion layers. Throw away the onion bulb. 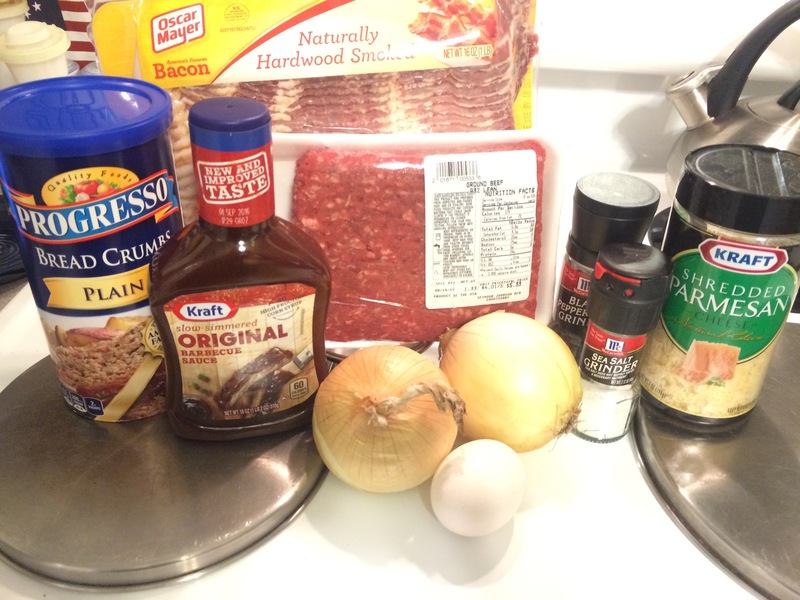 Fill each onion layer with the beef mixture until you run out of the beef mixture. 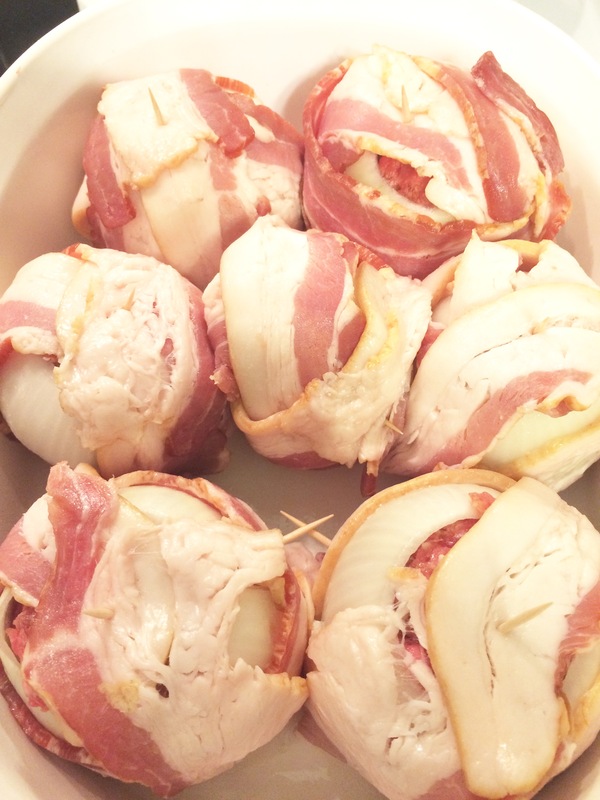 Wrap each BBQ Bacon Ball with 2-3 slices of uncooked bacon, depending on the size of the onion. 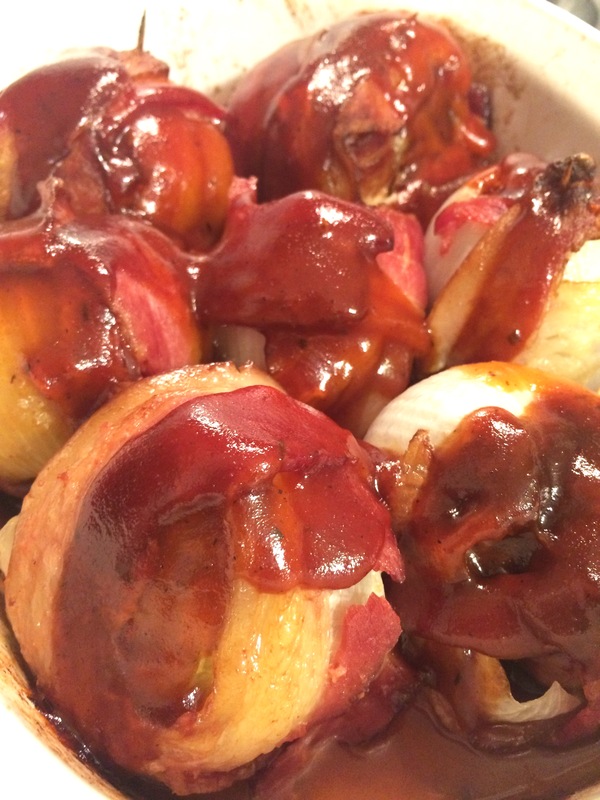 Secure the bacon to the onion balls with toothpicks. 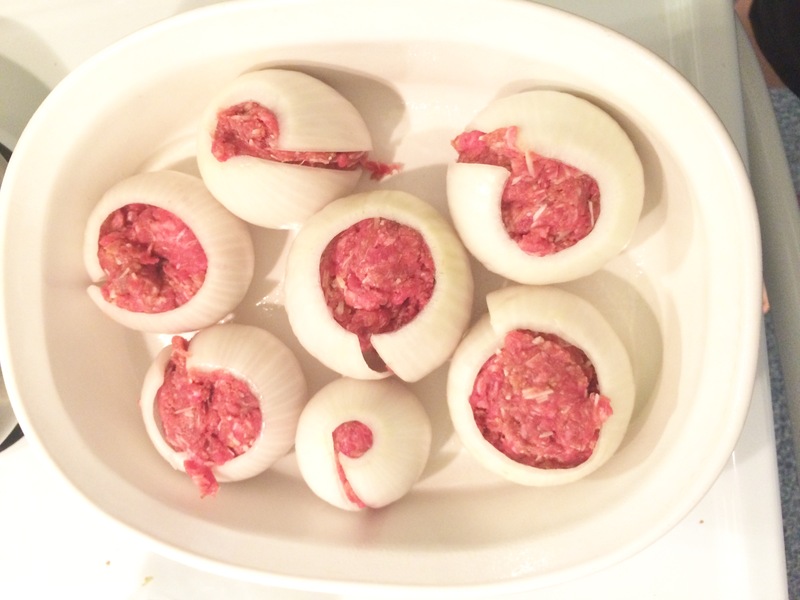 Place the onion balls into a casserole dish that has tall sides, to catch the grease as they cook. 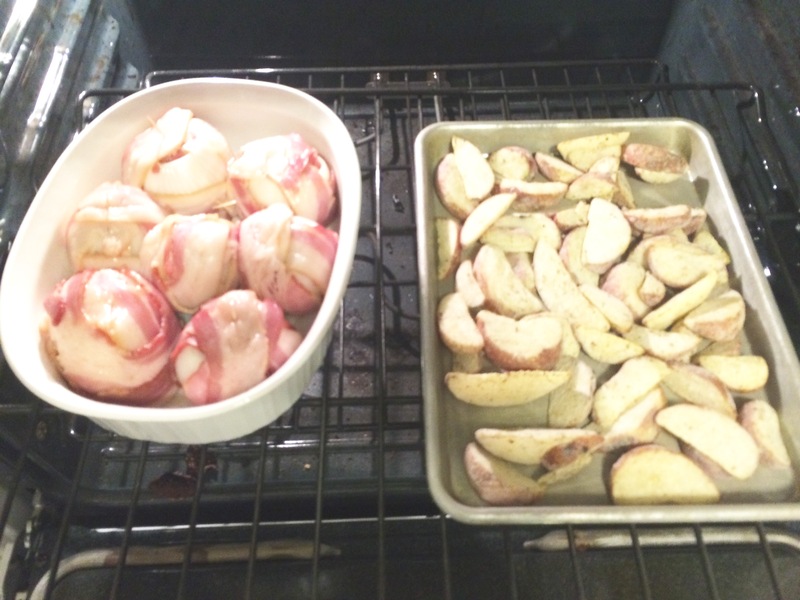 Bake at 425 degrees for 50 – 60 minutes or until the internal temperature reads 165-180 degrees. 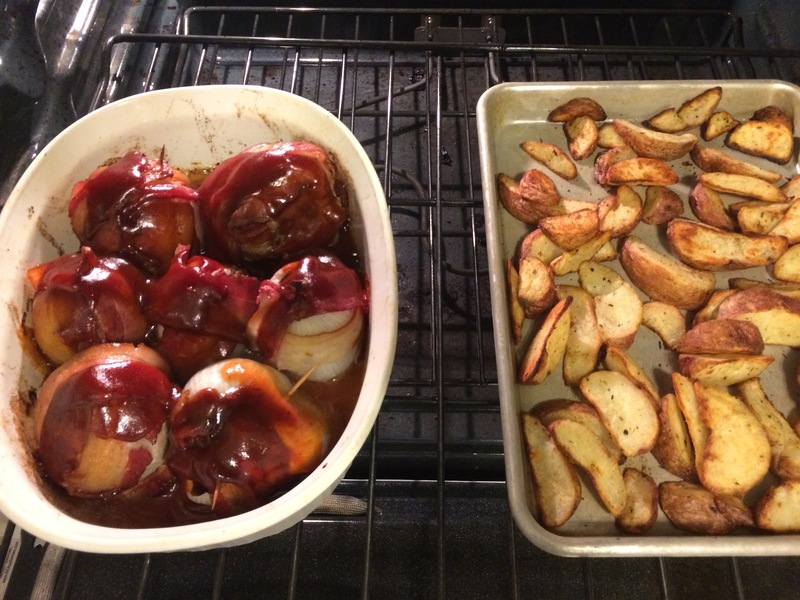 Pour your favorite BBQ sauce over the onion balls and cook for 5 more minutes. Serve these up but remember to remove the toothpicks before eating! 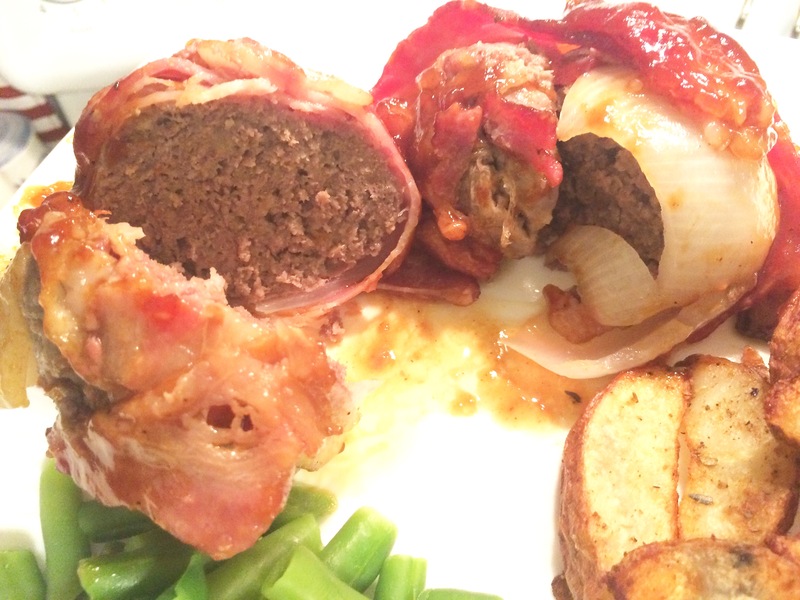 So, would Ron Swanson approve these? I think so! 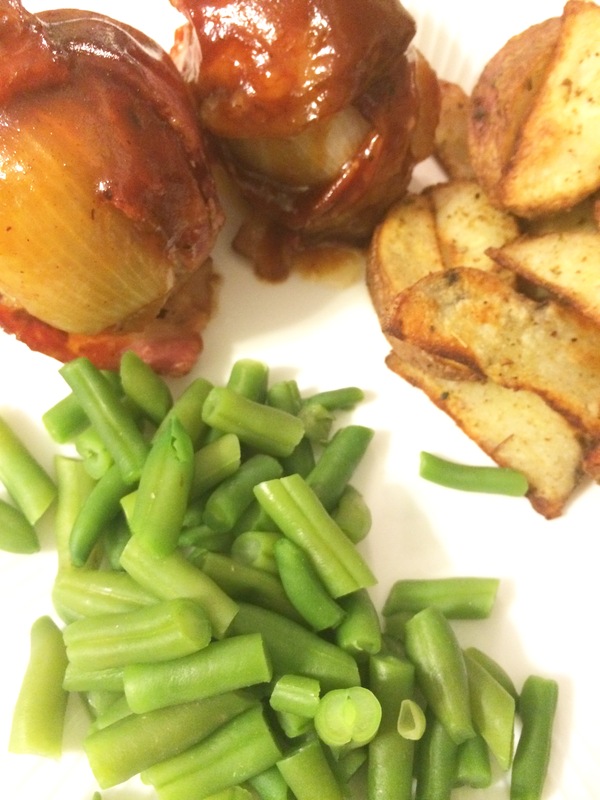 We had just enough leftovers for a meal a few days later, and they were just as delicious and flavorful as the night I cooked them. I can’t wait to make these again! 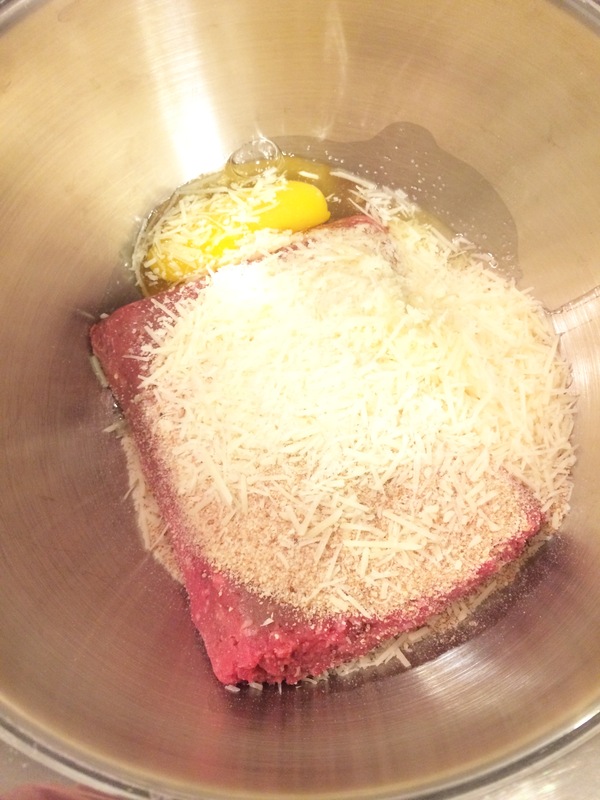 I found this recipe on Hugs & Cookies XOXO website. 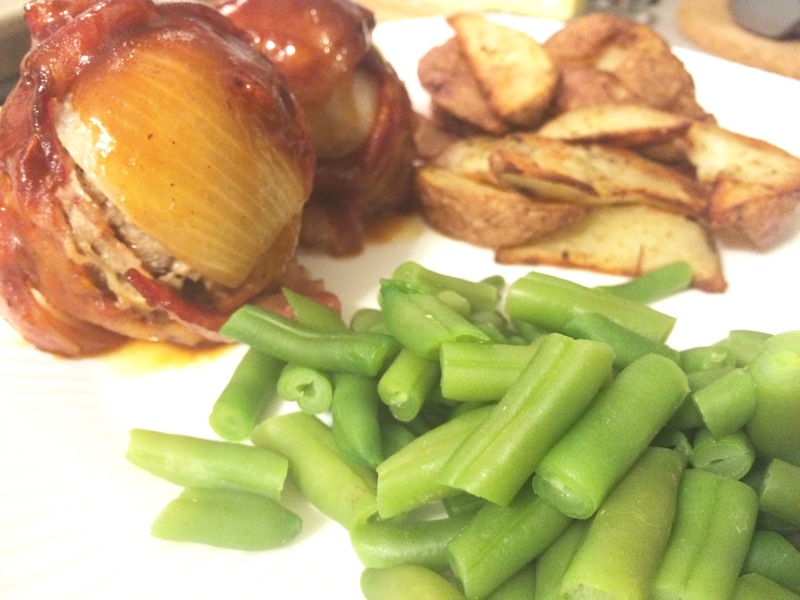 You can find the original recipe here.